The Schott® Lightweight Naked Perfecto Motorcycle Jacket is the quintessential biker jacket. Made in USA. The Lightweight Naked Perfecto Motorcycle Jacket was modeled after the classic 618. The 619 has a few key differences; slimmer arms and longer torso. Chrome-tanned, drum dyed, lightweight naked cowhide leather. 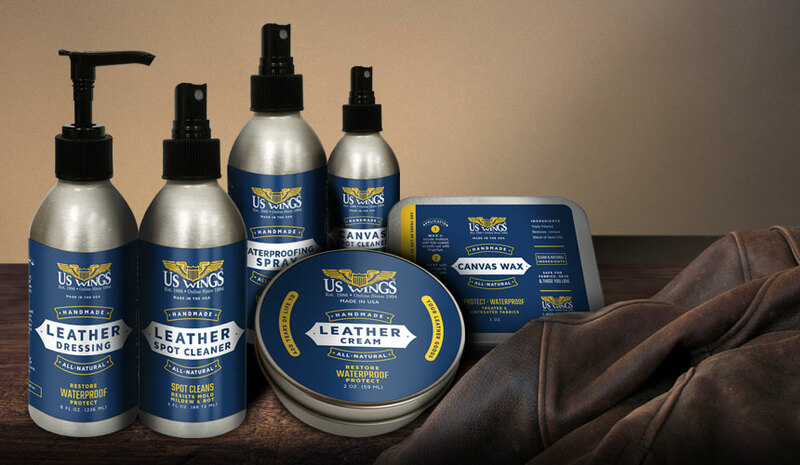 The vintaged leather is “pull up” naked cowhide that has a soft and buttered feel. 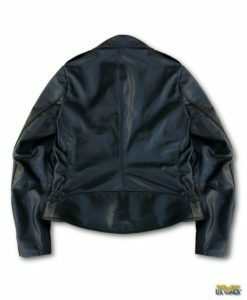 The leather will develop unique and subtle creasing that constantly changes as you move and bend in the jacket. The beauty of this finish is that a quick application of leather oil can restore the jacket to its original form. 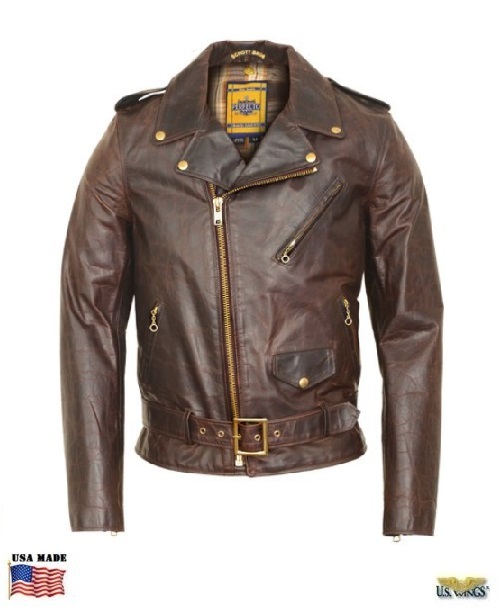 Note of caution: Applying leather oils to this motorcycle jacket will darken the appearance of the leather and you will lose much of the pull up effect. Made in the USA.